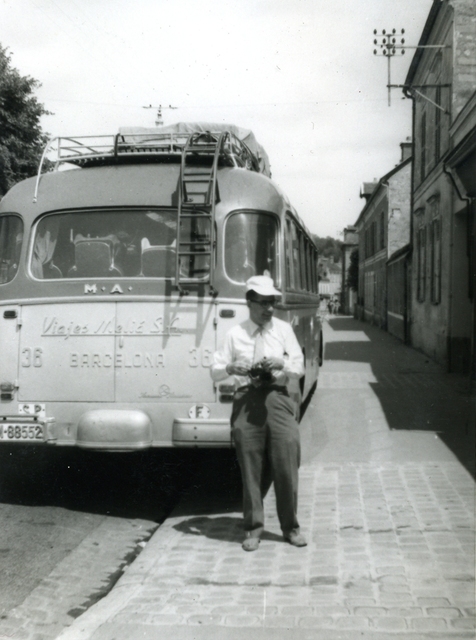 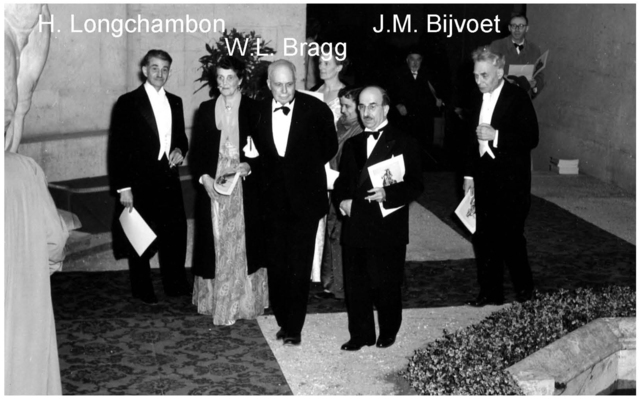 Organized by the Laboratoire de Mineralogie-Cristallographie (Director Professor J. Wyatt), Faculte des Sciences de Paris. 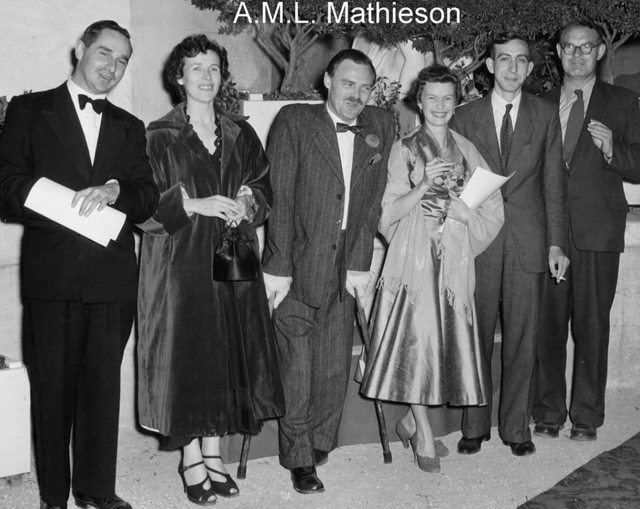 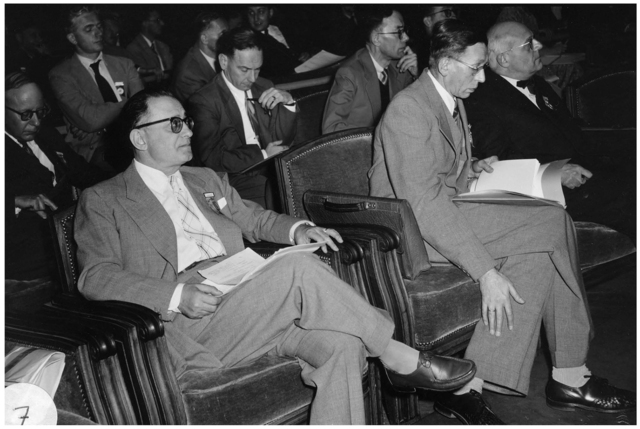 Maurice and Louis de Broglie, and Charles Mauguin were Presidents of the Congress. 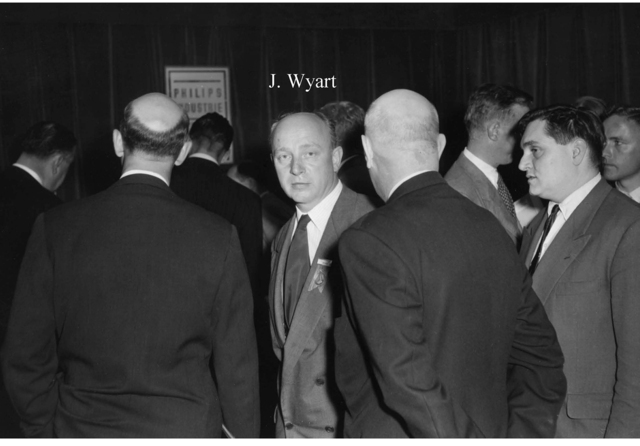 The President of the Organizing Committee was Jean Wyatt, the Treasurer Hubert Curien. 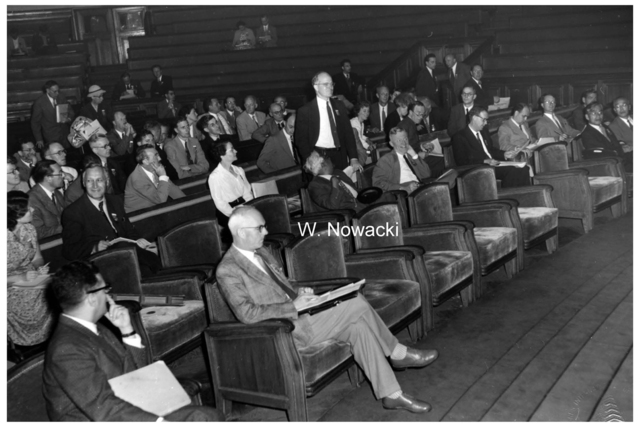 Chairman of the Opening Ceremony was H. Longchambon, Secretary of State for Research, and crystallographer. 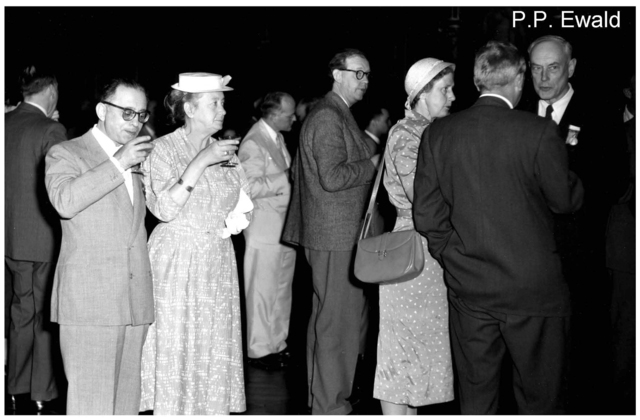 Invited lectures: F. C. Frank Crystal Growth; W. Kleber Kristallwachstum, Morphologie und Struktur; I. Fankuchen and B. 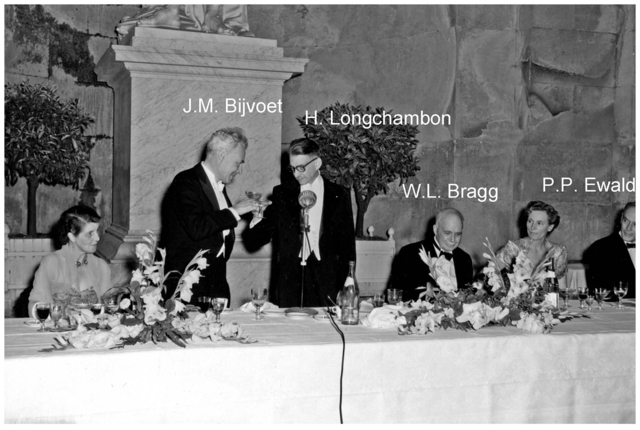 Post Low-temperature determinations; H. M. Powell Clathrate compounds; D. Hodgkin The X-ray crystallographic study of the structure of vitamin B12 and H. A. 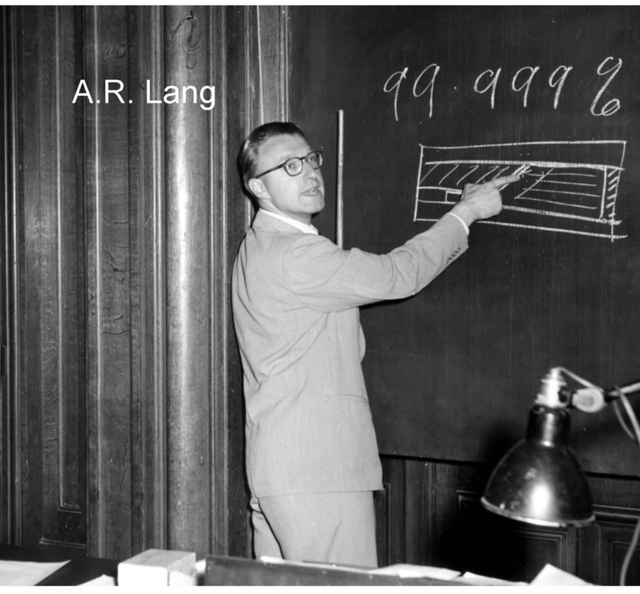 Levy Recent progress in neutron diffraction. 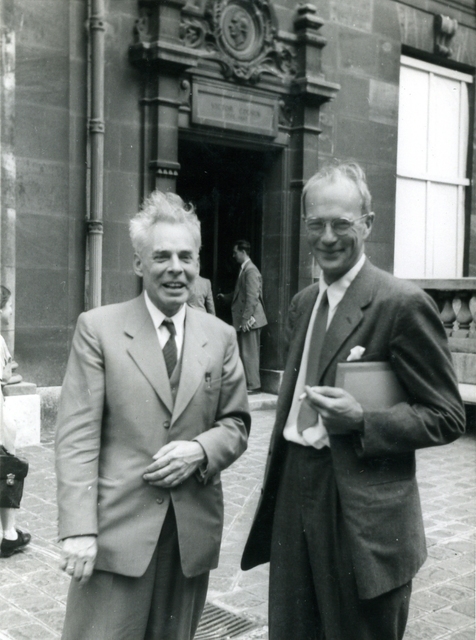 Johannes Martin Bijvoet and David Harker. 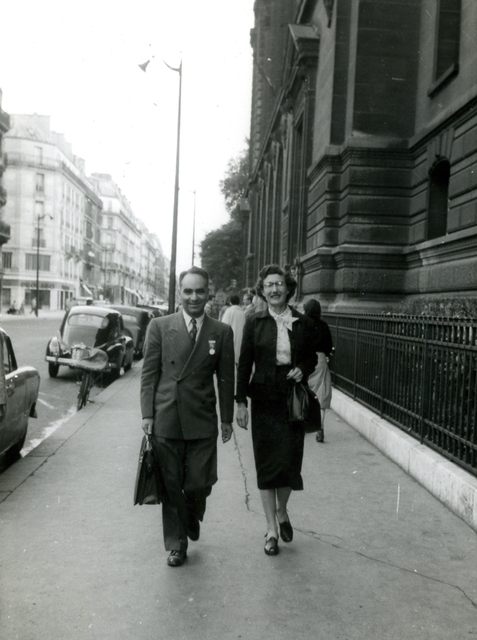 Henri Arthur Levy and wife. 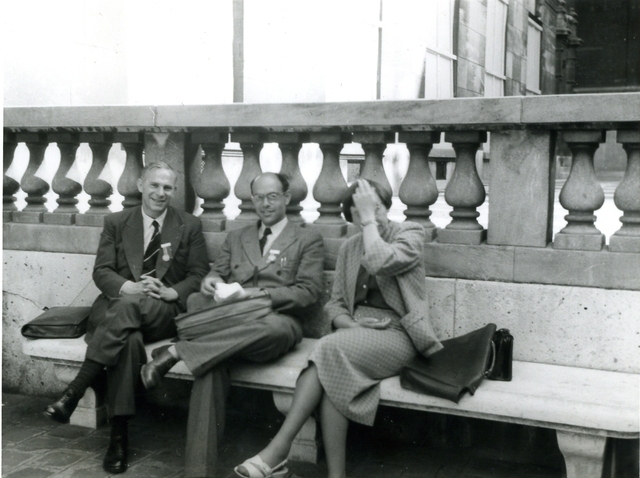 Gordon Cox, Hans Peter Stadler and Carolien MacGillivray. 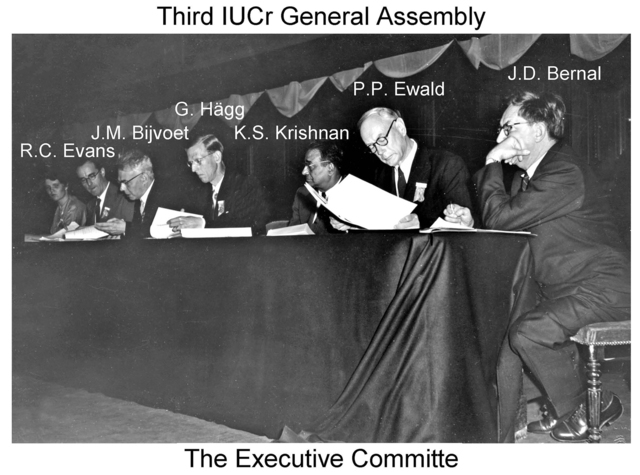 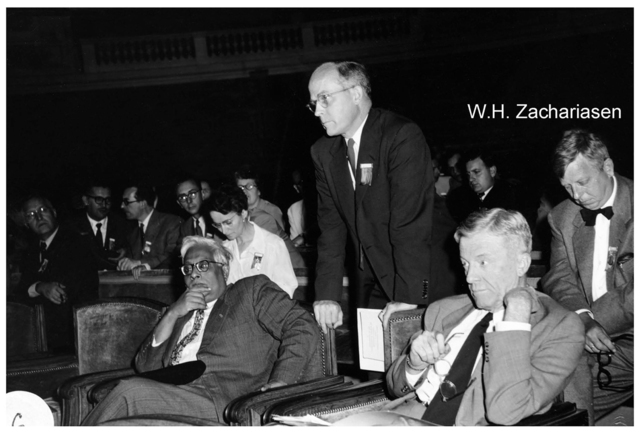 Member of the Executive Committee: R. C. Evans, J. M. Bijvoet, G. Hagg, K. S. Krishnan, P. P. Ewald, J. D. Bernal. 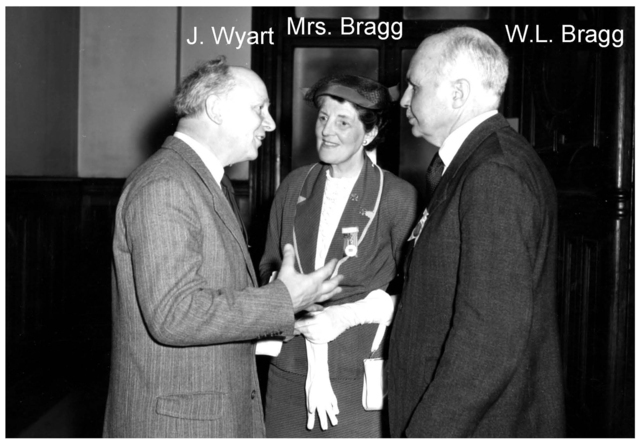 J. Wyart, Mrs Bragg, W. L. Bragg. 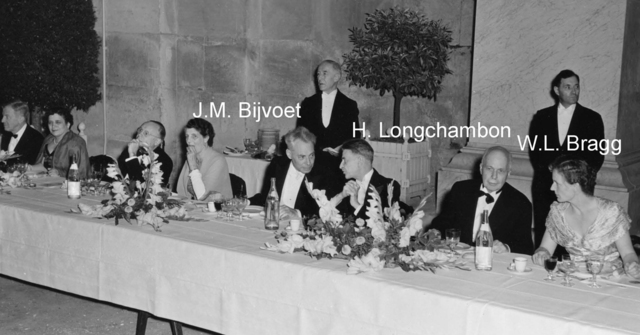 J. M. Bijvoet, H. Longchamon, W. L. Bragg, P. P. Ewald. 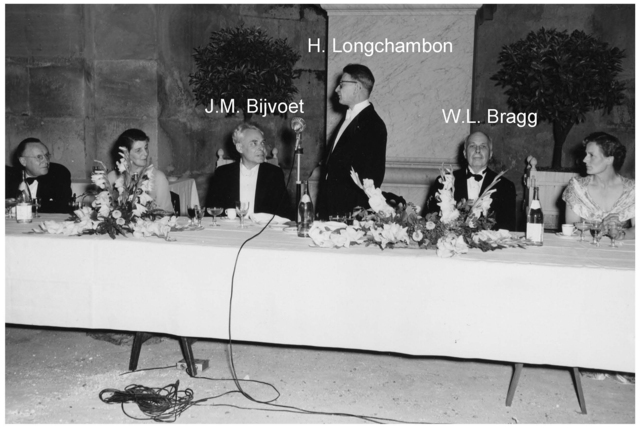 J. M. Bijvoet, H. Longchambon, W. L. Bragg. 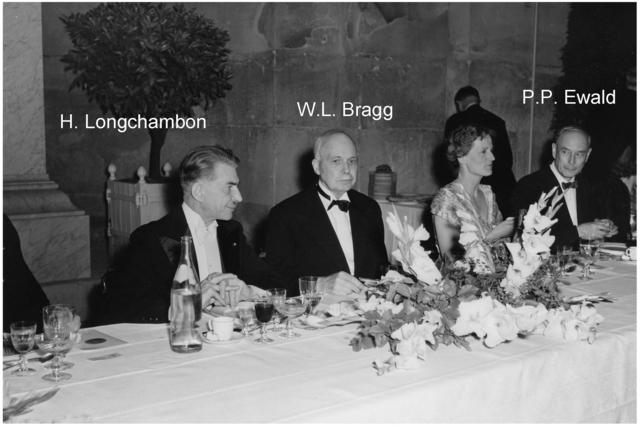 H. Longchambon, W. L. Bragg, P. P. Ewald. 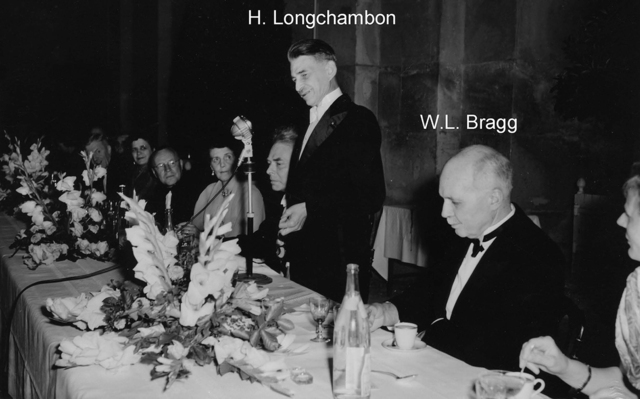 H. Longchambon, W. L. Bragg, J. M. Bijvoet. 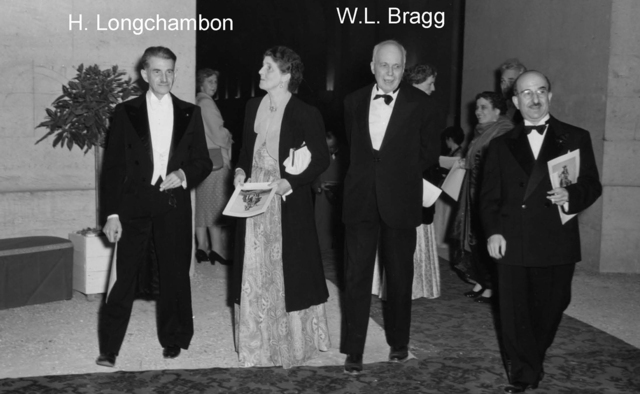 H. Longchambon, W. L. Bragg.